We seemed to be getting lesser lottery scam mails these days. There are also fewer news of people getting scammed by it. But here is a short one where the scammer is trying to make some money to start the new year. 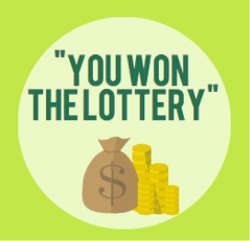 Lottery Scams: UNICEF $350,000 Excess Fund Giveaway! Someone asked about this Lottomania French Lottery Group: Would like to know if the message below and the attached documents are one of the scams that is going around?